I get the sense that people do care about who represents their views and who is making decisions on their behalf and that they have lost trust in so many of the current crop of politicians. People want change and are looking out for a new set of politicians – ones that actually believe in something, can empathize on issues and are honest. I met one the other day. 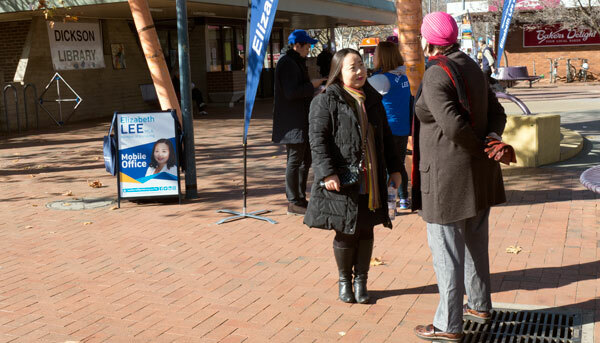 This was the first time that I have met Elizabeth Lee – one of the Liberal members for the electorate of Kurrajong. We met in her office in the company of Nicole Lawder, the deputy leader of the Liberals who I had caught up with not too long ago. 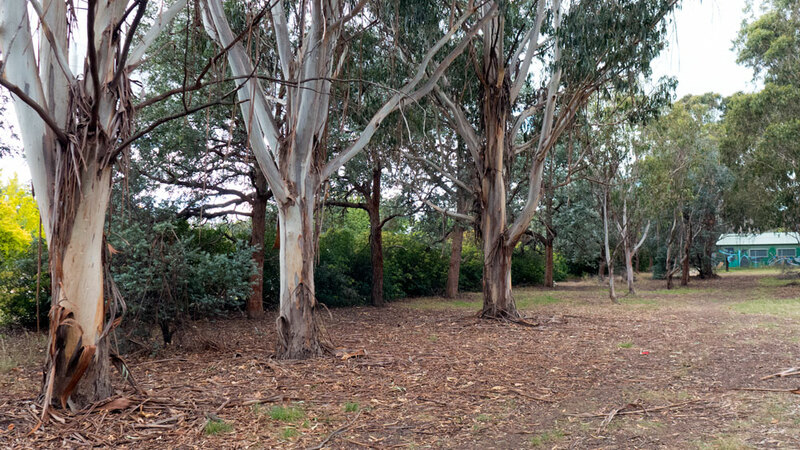 We were there to discuss the many planning and development issues in and around Dickson with the emphasis on the many complicated goings-on to do with the future of the Dickson Parklands (bureaucratically titled Section 72 Dickson). Having done their research, it was obvious as the conversation progressed that both Nicole and Elizabeth were getting their heads around the issues, who is responsible for the mess (guess who? ), and what could be taken to deliver intelligent solutions. To start with they are getting out and talking to people – and Elizabeth was planning on meeting people on the freezing morning that was last Saturday (see pic above). Over the years I have sat down with dozens of politicians – advocacy is what I used to do. In all those times it was unusual to sit with politicians who genuinely wanted to hear what the issues were, were seeking ideas and were prepared to honestly debate stuff. The ability to lead, to naturally engage with people and to be honest are basic characteristics that locals want to see in their locally elected representatives. Unfortunately this has been a rare occurrence in and around Dickson. Most of the last years have been spent dealing with the latest government or bureaucratic top-down idea and inappropriate thought bubbles. Back to Elizabeth Lee. As we know, she entered the ACT Assembly for the first time late last year. Having read up on her before we met and then gained an insight into her thinking through the conversation, it is obviously she is very active and is keen to listen and talk to people. and for that plan to include how the Parklands could operate as a mixed used community/ cultural facility within a neighbourhood that is changing rapidly and is undergoing a steady increase in residents. It was a friendly, frank and fruitful discussion – well I thought it was – I hope Nicole and Elizabeth agreed. There was a total absence of the usual clichés, sermons or party spin; such a relief. I am not saying that Elizabeth gave any guarantees as to what a future Liberal government would or would not do. But there is no doubt that she is making every effort to have directions (and hopefully policy) based on the feedback she gaining from all sectors in the local communities. I left the meeting thinking the electors of Kurrajong are on a winner with Elizabeth Lee being one of their representatives. In fact given the recent conversations I have had with Caroline Le Couteur, Nicole Lawder and now Elizabeth Lee, there is a pattern emerging. These are the leaders we need. Some of the boys who think they may be the leaders should get out of the way and allow these women to take charge and deliver a much more people focused (humane) agenda for this city. These women are committed and intelligent individuals (yah!) who have to work within a complex party system (hmmm!). I wish them luck with that. Others have written that Elizabeth Lee could be a future Chief Minister. She is definitely one to watch.